Best Android Phone 2019 | What you should buy? 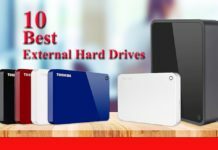 Which is the Best External Hard Drive for PS4? 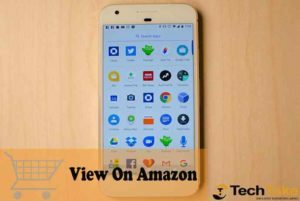 Home Mobile Android Best Android Phone 2019 | What you should buy? As expected, the mobile smartphone industry has seen a boom with the latest and best android phone 2019 promised. Most Android smartphones from previous years have come with improved features and gotten even better in 2019, with fresh apps, faster processors, powerful and advanced cameras and a number of them come at reduced prices. It is a chase game of some the well-known smartphone manufacturers as they all try to outdo each other in a struggle to impress. 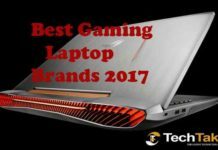 Some of the big brands like Samsung, HTC and Sony are right at the top of the game. There is also a glut of other brands in the mix including Motorola, Lenovo among others which offer smartphones at cheap rates. Apparently, the smartphone industry is one of the most dynamic industry with technologies changing very quickly. 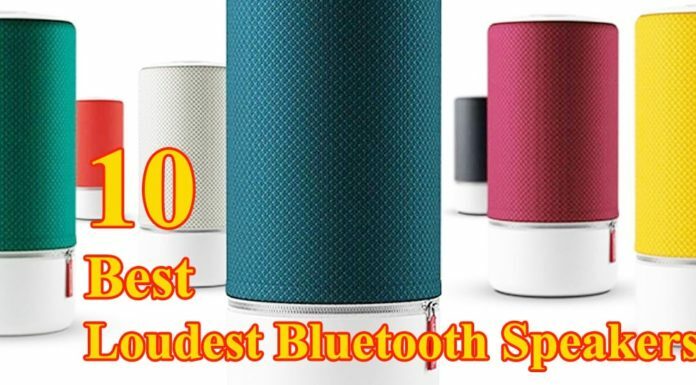 The level of absorption and acceptability of these technologies among consumers is also very high as people are always willing to lay off the current for the latest in the market. With this trend of consumerism, the multi-billion industry can only make the better out of its best self. Samsung started the year with a bang after a roller coaster 2016. 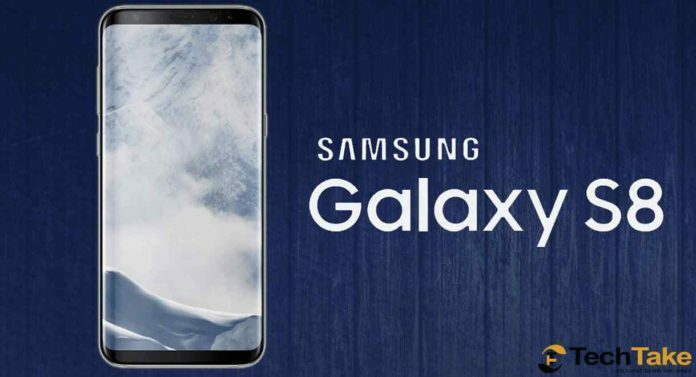 To extend their Galaxy S series, Samsung has once again unveiled one of the best android phone 2019 is yet to see its equal rival- the Samsung Galaxy S8. 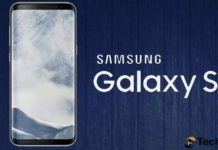 The Galaxy S8 is a slim redesigned handset with very tiny bezels that make it house a big a screen in a small body but offering almost everything you may need. It has a bigger internal storage space in addition to a slot for an SD card, a high-end processor, best-in-class camera and full waterproofing. Well known for having the best screens in the mobile industry, the Galaxy S8 is more about the size of screen and body, with Samsung going for the highest ratio of the two aspects in the industry. The Galaxy S8 has a 5.8-inch display and measuring148.9mm in length, 68.1mm in width and 8mm in thickness and weighs 155 grams. This state-of-the –art gadget has maintained the edge-to-edge curved display with an aspect ratio of 18.5:9 and 2960×1440 WQHD+ resolution. The phone is housed in Gorilla Glass 5. This is the first device made with the Exynos 8895 SoC and the Snapdragon 835 System-on-a-Chip (SoC) which are both Octa-core processors. The Galaxy S8 has the Exynos 8895 which has a Mali-G71 MP20 GPU and a quad-core 1.7 GHz processor. The phone comes with 4GB of RAM but there is another version of the phone specially made for specific countries with a 6GB of RAM. The Galaxy S8 has a permanent 3,000mAh battery with a wireless charging mode. It has a powerful front camera with 8-megapixel and f/1.7 lens. The back camera has a 12-megapixel and a sensor measuring 1/2.5″, f/1.7 lens, 1.4-micron size pixels, OIS and single-LED flash and dual-pixel PDAF. There is also an iris scanner at the front and several scanners at the back which include barometer, fingerprint scanner, SpO2 and heart rate scanner. As always the case, the Galaxy S8 has a twin sister, the Galaxy S8 Plus (SEE IT). The Galaxy S8+ has a 6.2-inch display and resolution of 2960 x 1440. It also comes with Octa-core Samsung Exynos 8895 or Octa-core Qualcomm Snapdragon 835 processor. It has a 12 megapixel back camera and an 8-megapixel camera at the front. The Galaxy S8+ measures 159.5mm in length, 73.4mm in width and 8.1mm in thickness and weighs 173 grams. AMOLED display. The Google Pixel has a 5.0-inch display with 1920 x 1080 resolution, 441 ppi while the Google Pixel XL has a 5.5-inch display with 2560 x 1440 resolution, 534 ppi. Google Pixel has a 2,770 mAh non-removable battery while the Google Pixel XL has a 3,450 mAh non-removable battery. Google Pixel has a length of 143.8mm, a width of 69.5mm, a thickness of 8.6 mm and weighs 143 grams. On the other hand, the Google Pixel XL (SEE IT) has a length of 154.7mm, a width of 75.7mm, a thickness of 8.6mm and weighs 168 grams. The two phones may not have the unique designs on the market but they maintain the premium look all through. The two phones, however, have some undoing. The phones are not as waterproof as the Galaxy S8. In addition, the Verizon model has some amount of bloatware although there is an option for uninstalling it. With the Verizon model again, you are unable to unlock the boot loader and the company handles all software updates. Verizon has however always promised never to delay the updates. The two phones are retailing at $650 and are some of the best android phone 2019 has come with and probably offering you the true value for your money. The LG G6 was launched before the Galaxy S8. It has a 5.7” HD LCD display with slim bezels to offer a bigger screen in a small body. 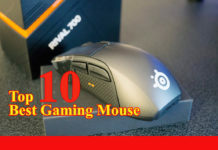 It is designed with a metal-and-glass look and is completely waterproof. As opposed to its predecessors, the LG G6 has a permanent battery. 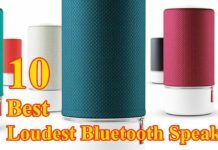 The device has a number of regional variations with the wireless charging exclusively meant for the retail in North America while the higher-quality Quad DAC designed for the Asian market. 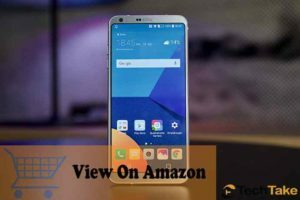 The LG G6 has maintained the dual camera formation but with much more stress on the wide-angle camera to give you the best shots. This is in addition to the wide-angle shooter that is not available on any other phone. The phone has a 4 GB of RAM, a bigger internal storage space, and a 13-megapixel camera. It also has a permanent 3,300 mAh battery and measures148.9 in length, 71.9 in width, 7.9 mm and weighs 163 grams. This is LG’s best flagship smartphone and comes at a much lower rate than the Galaxy S8. 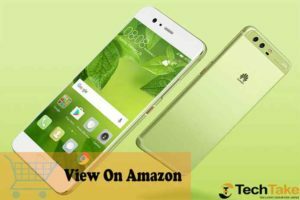 It is a phone a solid and well-designed phone that only has the main features that you may need whole avoiding the gimmicky ones you never need. design. The powerful and modular design enables you to switch out elements for futures plug-ins and accessories and also makes the phone usable for much longer without running obsolete of aging quickly. Most mid-cycle upgrades involve installing new software. 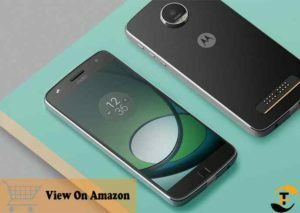 The Moto Z is designed to take in a form at any moment. The Moto Z measures 153.3 x 75.3 x 5.2 mm and weighs 136 grams. It runs on Android Marshmallow Operating System and has a 5.5-inch display and a 1440 x 2560 resolution. It has a Snapdragon 820 processor. The phone comes with a 4GB RAM and a 32 or 64GB internal memory. It has a 13MP rear camera and a 5MP front camera. It also has a 2600mAh battery. from the Mate 9 which runs on Huawei’s EMUI 5.1 interface, the P10 and P10 run on the Android 7.0 Nougat operating system. This has brought a number of performance improvements in addition to a smart theme engine that change according to the color of the phone. They have a 5.1-inch display with a 1920 x 1080 resolution. The phones have a length of 145.3mm, a width of 69.3mm, a thickness of 6.98mm and weighs 145 grams. The phones have a Kirin 960 processor with 12 MP rear cameras and 20 MP front cameras. They have 4GB of RAM and 64GB of internal storage space as well as a microSD slot. In addition, the two phones have a 3,200 mAh non-removable battery. The bad news is that these phones are not meant for use in the U.S.
phone has been designed with all the best features that are offered by Sony. However, the phone lacks that attractive appeal. The phone measures 146mm in length, 72mm in width, and 8.1mm in thickness and weigh 161 grams. It has Snapdragon 820 and runs on Android 7 Operating System. 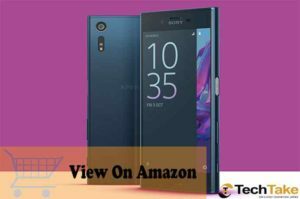 The Sony Xperia XZ has a 5.2-inch display with a 1080 x 1920 resolution. It has a much-reduced battery life of 2900mAh. In addition, it has a 23MP rear camera and a 13MP front camera. The phone is fully waterproof with its price seemingly dropping. Snapdragon 820 processor. The HTC 10 measures 145.9mmin length, 71.9mm in width, 9mm in thickness and weighs 161 grams. It has a 5.2-inch display with a 1440 x 2560 resolution. 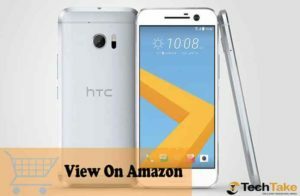 The HTC 10 has 4GB RAM and 32 or 64GB internal memory space. It has a 12MP rear camera and 5MP front camera in addition to a 3000mAh battery. OnePlus 3T as an improved version of the still trending OnePlus 3. 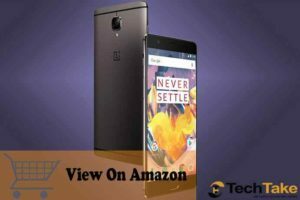 The OnePlus 3T come with a 3400mAh bigger battery, a Snapdragon 821 processor, a 16 MP rear camera and a 16MP front camera as well as a 1080 x 1920 resolution. The phone has a fast fingerprint scanner and a bright and vibrant 152.7 x 74.7 x 7.35 mm AMOLED display. However, the phone has no micro-SD card slot and its battery may not take you for more than one day. predecessors. The phone has a 5.2-inch display with 1920 X 1080 resolution. 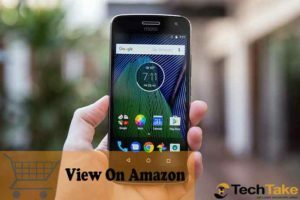 It is built with Snapdragon 430 processor and runs on Android 7.0 Operating System. This device measures 144.3mm in length, 73mm in width, and 9.5mm in thickness and weighs 145 grams. It has a 4GB RAM and 64GB internal memory add up to 128 GB of additional storage with SD card. The phone has a 12MP rear camera and a 5MP front camera. It has a 2800mAh battery. and a much lower price. The phone has been built with magnetic clip-on accessories will allow you to attach a speaker system, a new camera or a projector. The phone is much cheaper but very different from what is on the market. It comes with a 5.5-inch display and a 1080 x 1920 pixels’ resolution. Moto-Z measures 156mm in length, 76mm in width, 7mm in thickness and weighs 165 grams. It has Snapdragon 625 processor and runs on Android 6 Operating System. The phone comes with 3GB RAM and 32GB of internal space. Additionally, it has a 15MP rear camera and a 5MP front camera. 1920 pixels resolution. The Lenovo P2 measures 153mm in length, 76mm in width, and 8.3mm in thickness and weigh 177 grams. It has Snapdragon 625 and runs on Android Marshmallow Operating System. 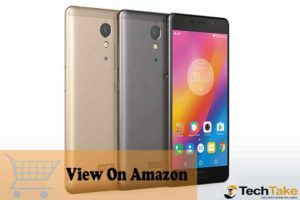 Lenovo-P2 has 4GB RAM and internal memory of 32GB. It has a 13MP rear camera and a 5MP front camera a 5100mAh prolonged life battery. Comparatively, the phone is much heavy due to the large battery with a limited camera. With the best android phone 2019 just finishing the first turn, it is evident that minds in the smartphone industry are engaged up in laboratories and innovation hubs. The first half of the year has seen giant smartphone companies come out to prove their dominance and increase their market share in the highly growing and dynamic industry. With the second half around the corner, the market will evidently witness several upcoming android phones. we can expect to see the perennial brands on the markets as well as new comebacks. As you shop for your favorite device, the market is offering a wide variety in terms of brand, price, specifications among other parameters. You can never run out of choices. You can move from the general details and explore the very particular minor details of each brand just to ensure you get what satisfies you as well as the full value for your money. As the second half of the year unfolds, remain vigilant for the latest release. Probably what you have today will need an upgrade tomorrow or will require total replacement. Watch this space. 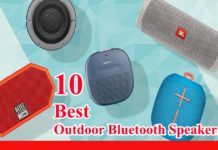 10 best outdoor Bluetooth speakers for the backyard, patio, and swimming pool. 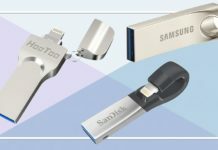 TechTake monitors all the best and latest consumer technology revolutions and shows you what's new, what factors, and how technology can improve your life. We provide you the details, tools, and buying advice that will help you choose what to buy and how to find the most out of the technology in your life. Copyright © 2017 · TechTake24.com, All Rights Reserved.